The challenge with working out at home is the need to ensure you execute the right form. So lately I’ve been recording myself doing my routines to check if my forms are spot on and if not, correct it accordingly. I can do handstand pushups but I’ve been wanting to do it without the wall. Good thing YouTube has been helpful so far. I am following Chris Heria, GMB, and Athlean X among many others to get tips on how to perfect the forms through progression. Recently I also downloaded Heria’s Thenx app which as of now don’t have any annoying ads plus the videos are easy to understand. I’m now in the process of this app’s handstand pushup intermediate level. It’s Monday. Preparing to be flexible at work. 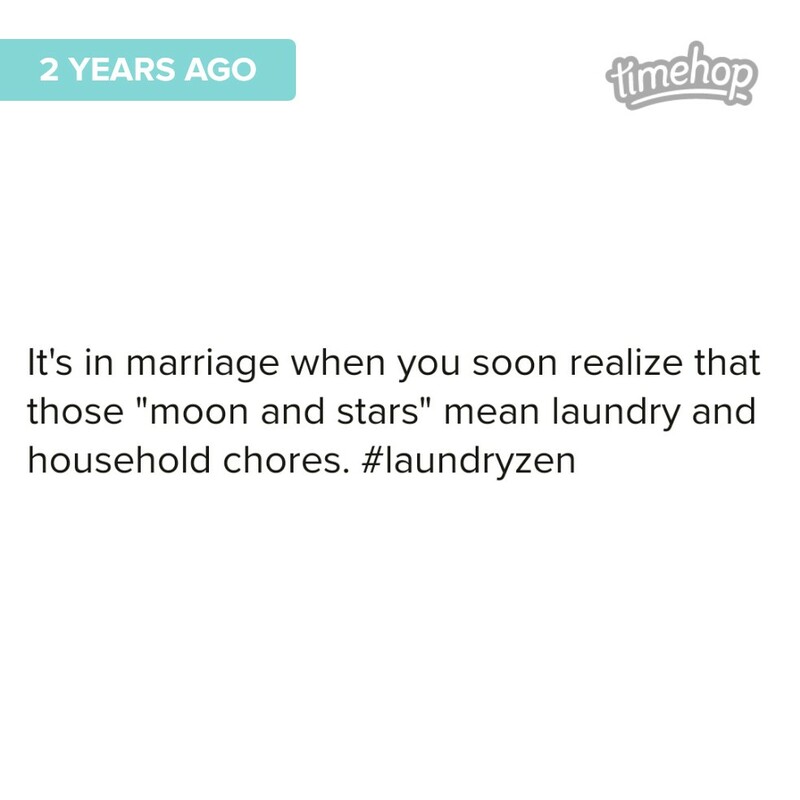 Timehop continues to amaze me with what it can pull up from my past posts years ago today. Some cringeworthy, some funny, some sad, and some funny kind of sad like this one from eight years ago. 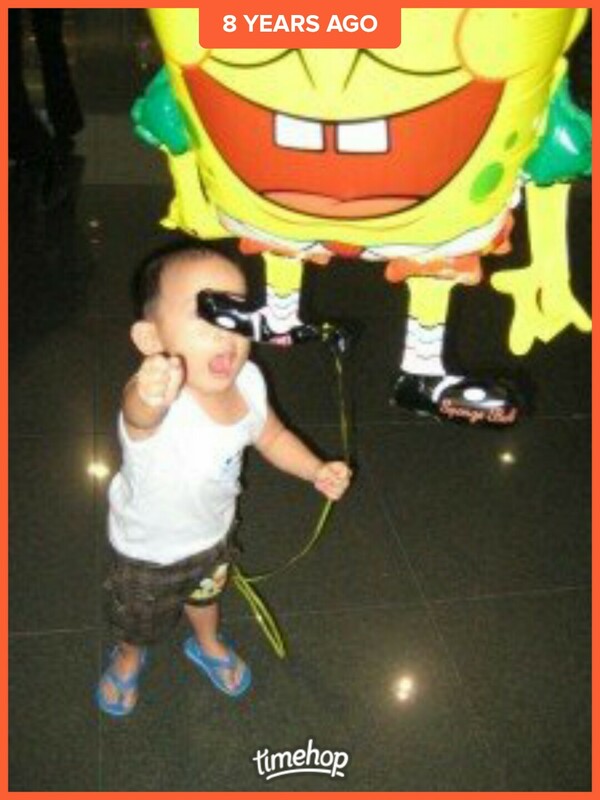 This was the last balloon I’ve ever bought for Marcus which got away from his grip just before we left MOA. 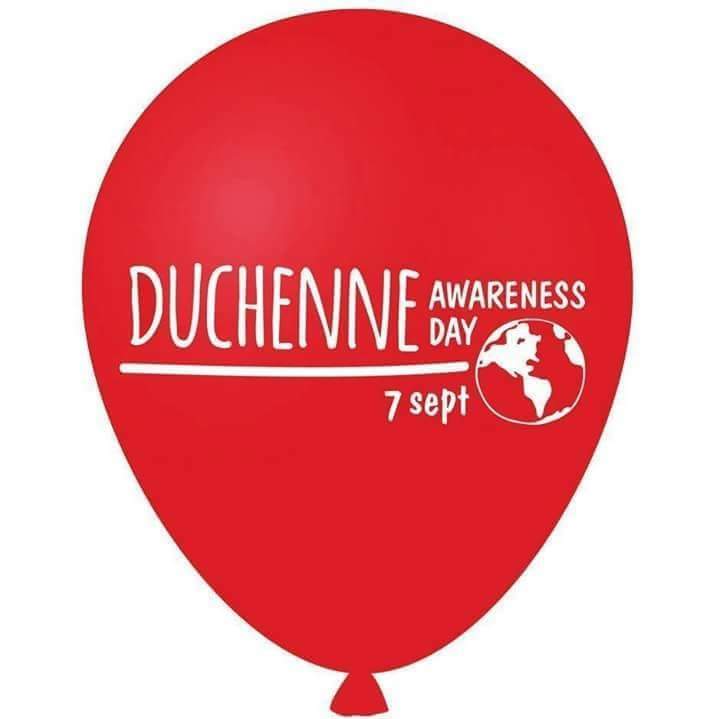 Few years later though we’d buy balloons again for him, this time only red balloons–the symbolic red ballooons we released on our first celebration of Duchenne Awareness Day. We don’t have balloons today but the significance of this day remains in our hearts as we remember everyone with DMD. God bless all these children and anyone–especially their parents–who commit in making sure this progressive condition doesn’t stop them from enjoying life. Sometimes the shortest discussions are both sweet and sad. Like this one with Marcus yesterday. 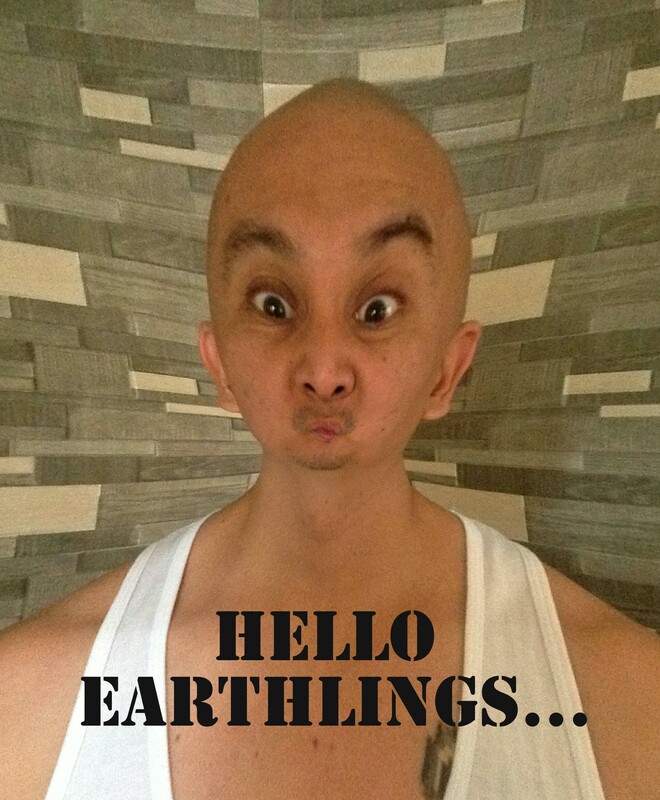 He has funny moments as well. Last night he drew something he plans to sell for 200 pesos on OLX. 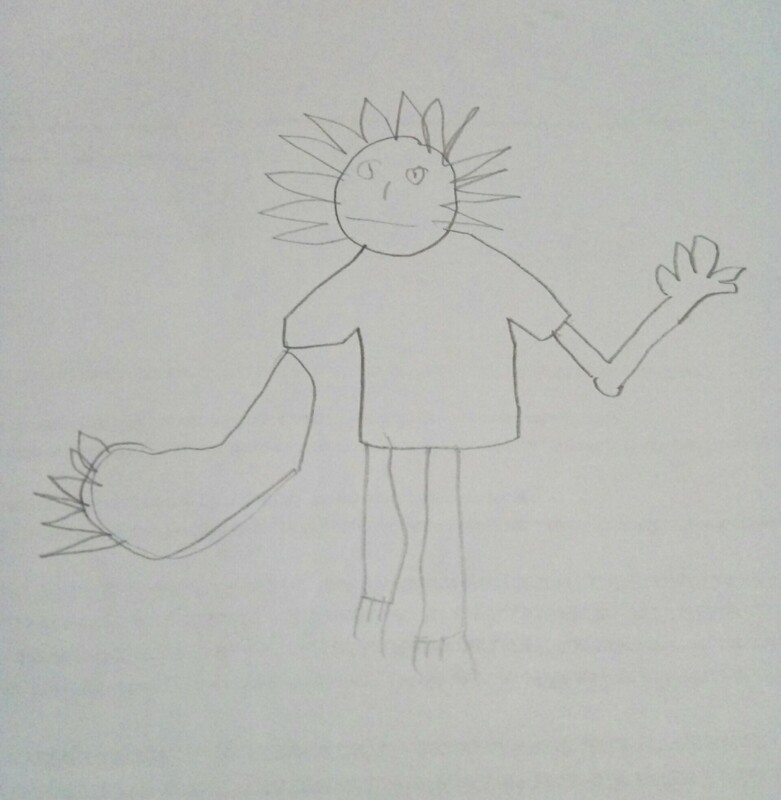 He calls this the best drawing ever. I did the body and right arm, FYI. So the day we played around with the iPad is the same day some scientists discovered seven earth-like planets somewhere in the vast space. If there are no collections agents in those planets, I’d like to fly there. Now. It was during Christmas dinner last year— over fatty foods, beer, and good company–when I first heard of Timehop and I loved the app since then. It’s the crystal ball of social media. It made me take a look back at whatever I’ve posted online years back. Some cringeworthy, some that I am proud of. 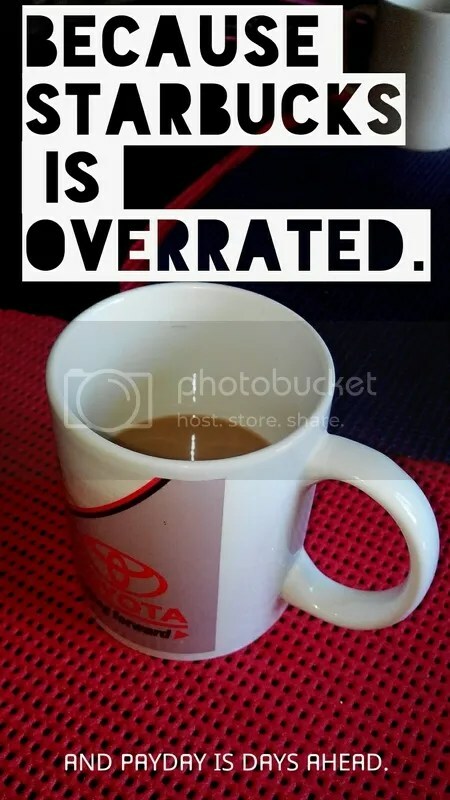 This Timehop post is the first on my blog just so I could test how it would look like. See more in the next days.